I've started a new weeknight mealtime tradition in the Klein House: Taco Tuesday! I was looking for something to make menu planning more fun, and Taco Tuesday was the perfect answer. Why? Taco Night could not be easier. The taco fillings can either cook up very quickly, or sit in the slow cooker all day just waiting for whenever you're ready. Add a topping and a side, and dinner is served. Plus, my husband has said on more than one occasion that he'd be happy with Mexican food every single day, so I knew he'd be on board. Also, Taco Night = Corona Night so it's a win/win! 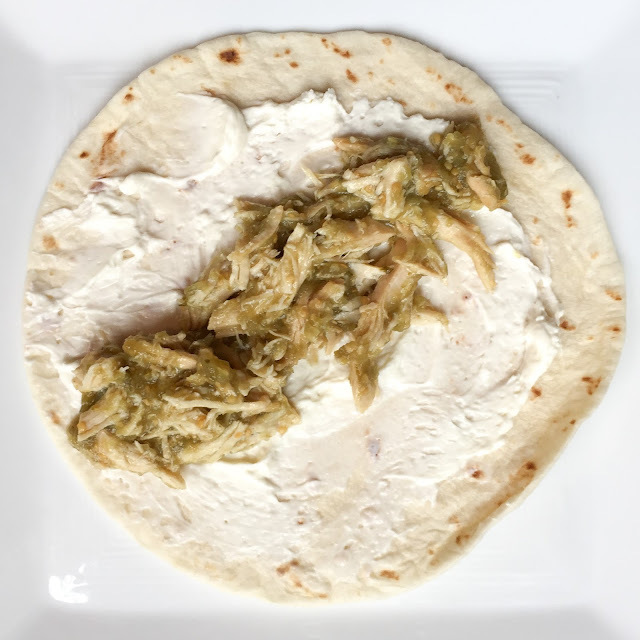 We kicked off our first Taco Tuesday with Shredded Green Chicken Soft Tacos. The recipe is so simple it's not even a recipe. 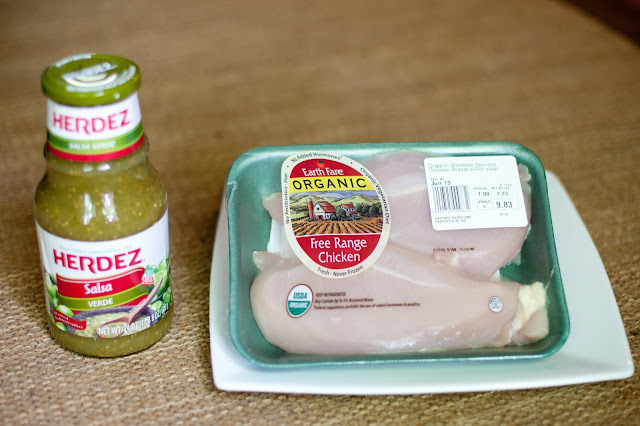 Just place 1+ lbs boneless skinless chicken breasts in a slow cooker, and cover with jarred green salsa. Put the lid on and cook all day (six-ish hours) on low (I've even put frozen chicken breasts in and they turn out perfectly). When you're ready to assemble the tacos, just shred the chicken with a fork. It should be super tender and just scrumptious. I like to serve the Shredded Green Chicken on small flour tortillas (mostly because I love how Parker says "tortiiiiyaaaahhh!"). If you are open to new ideas, try spreading some cream cheese on the tortilla before adding the chicken. It sounds crazy but it's delicious! 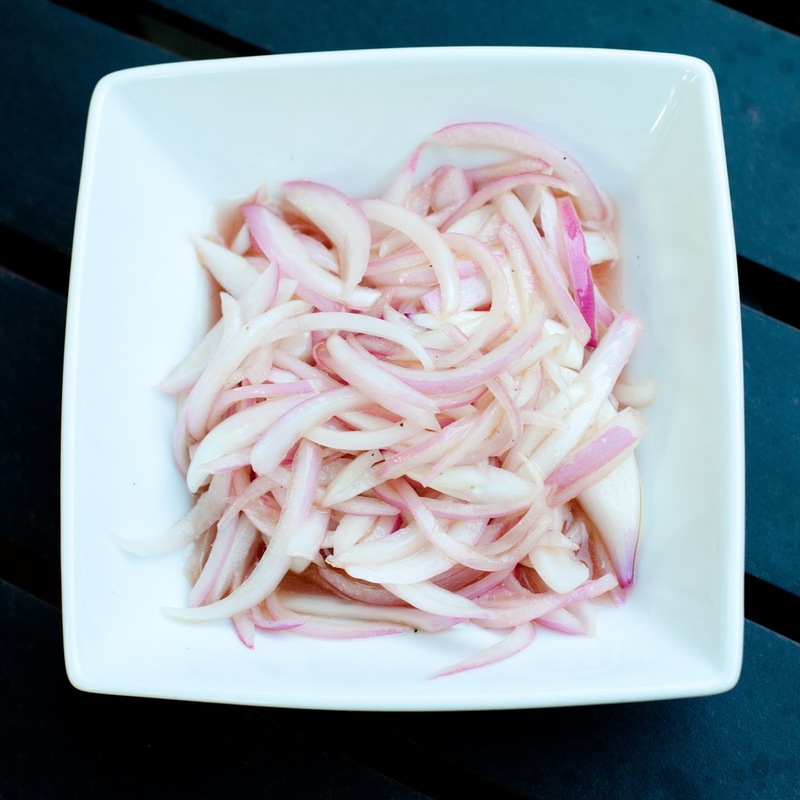 I think these quick-pickled red onions work perfectly with the creamy+green sauce combo. 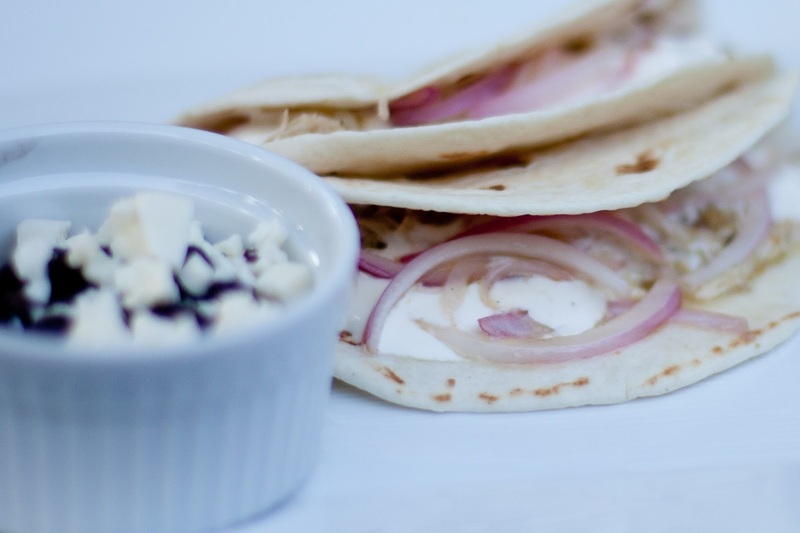 If you you're not using the cream cheese, I'd add either sour cream or queso fresco, too! To make the pickled onions, just whisk together (in a big bowl) 2 Tbs Red Wine Vinegar + 1 Tbs Olive Oil + 1 tsp Honey + 1/4 tsp salt (and a pinch of pepper). Add 1 medium sliced red onion and let sit for 15 minutes before serving (I toss a few times while it's sitting). I served black beans with these tacos. I just heated up a can of them on the stove then topped with queso fresco! Sooooo simple, and so yummy! Happy Taco Tuesday! Combine ingredients in a crockpot and cook on low for 6ish hours. Shred and serve! Whisk together first five ingredients. Add sliced onion, toss, and let sit for 15 minutes before serving (toss once or twice more while onions are resting). We love tacos at our house too! And Herdez is the best!!! This looks so good!! I love quick and easy meals!! Those look so yummy! 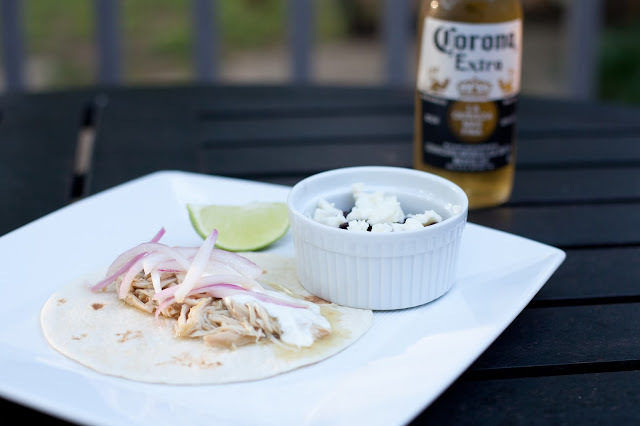 Love the idea of having Taco Tuesday :) It's a great way to make dinner a little more fun on a normal weekday! Taco tuesday is the BEST tradition! One of my most favorite and fun ways to eat! These look so delicious! I need these is my life!! And I have to try green salsa!!! Love Taco Tuesdays!! Made these tonight and they were delicious. Thanks for a great recipe!